Q: Yoda was a serious character in the prequel trilogy. Why was he somewhat comical in this installment? Q: What are the differences between the DVD and Blu-ray releases? Q: What exactly were the steps in Emperor Palpatine's plot in this film? Excellent timeless classic, the best sequel of all time! Star Wars: Episode V - The Empire Strikes Back (1980) is an excellent timeless classic that it is the best sequel of all time. 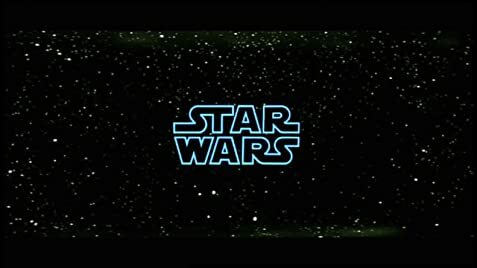 I love this film to death, it is my second favorite film and the best sequel in the Star Wars franchise that I love. 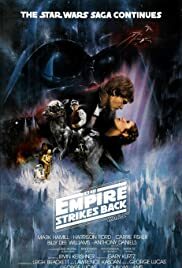 The Empire Strikes Back is a movie that it is one of the best sequels I can think of, it is right there with Aliens (1986), it is right there with Terminator 2: Judgment Day (1991) it is an excellent sequel and it really does establish The Empire as a value treat. Empire Strikes Back is still and excellent film which I really believe is a timeless classic. This is my second favorite film from director Irvin Kershner. Number 1 favorite Irvin Kershner film will be RoboCop 2 (1990) which is very underrated action flick. I still have to review those movies someday. Empire Strikes Back (1980) is the best one of the series, because it's deeper, darker, more philosophical. It's great because Darth Vader and the Empire are at their most menacing, the direction is creative, the characters feel real, the nature of the Force is explored more without losing its mysticism, and the pacing is, as George Lucas would put it, faster and more intense than any other film in the saga. The plot is actually more a rescue mission that Luke Skywalker (Mark Hamill) is coming to rescue his friends Han Solo, Princess Leia Organa, C-3PO and Chewbacca are captured on a planet Bespin in Cloud City from villainous Darth Vader. Han Solo's friend Lando Calrissian (Billy Dee Williams) set the up and with Darth Vader he set a trap for Luke. Also Luke studied the Force under Jedi Master Yoda to become a full Jedi Knight but in the end he must confront Darth Vader (David Prowse) by him self. The origins of Luke Skywalker are reveled. Empire Strikes Back was released in 1980 it is directed by Irvin Kershner this time and not George Lucas. Because George Lucas decide that he want to make this sequel independent one, so he ended up coming with his own, founding for the film. Getting a loan and money he earn from the first movie and it success, so he decided he wanted, to found the film him self, and he wanted to be more an executive producer to keep an eye on the lamp, he moved to a bigger studio in Orange County, California, so he diced to be more a producer he did not want to direct Empire Strikes Back. So his first choice was Irvin Kershner, who was a professor at UC in the UC film school, that George attended too and he always liked Irvin Kershner and of course he was a former professor and it was a hard way talk him to do it and the first time Irvin Kershner didn't want to do it, so George called Irvin's agent and his agent said to Irvin take it so he did and the rest is a history. This stands the test of time, the best film he ever directed! I love John Williams score still the same, but I think John Williams changed the music score for a little bit, but that's just my opinion. Things that I love in this film: I love the battle with Rebels fighting with the Imperial AT-AT walkers on the ice world of Hoth. That is my favorite scene on ice world in the film. The Imperial AT-AT walkers are incredible well made with classic special effects. I love that the origins of Luke Skywalker are reveled, that Luke is the son of Darth Vader, who is actually Anakin Skywalker, before he become Darth Vader and went to the dark site. For the first time ever, we see an Emperor in a Hologram talking to Darth Vader. The Falcon with Han Solo, Princess Leia Organa, C-3PO and Chewbacca hiding in the rocks try's to eat a monster. Luke faces with Darth Vader him self face to face and get his arm cut off and then he jumps off the bridge, because he didn't want to join his father in a dark force. The lightsaber duel throughout the chamber between Luke and Darth Vader was excellent and it was epic. The training sequence with Luke and master Yoda were excellent and epic. A New Hope and The Empire Strikes Back are my favorite films in series, that are in the franchise, this film get's a perfect 10 score for been the best sci-fi adventure sequel of all time. 114 of 122 people found this review helpful. Was this review helpful to you?